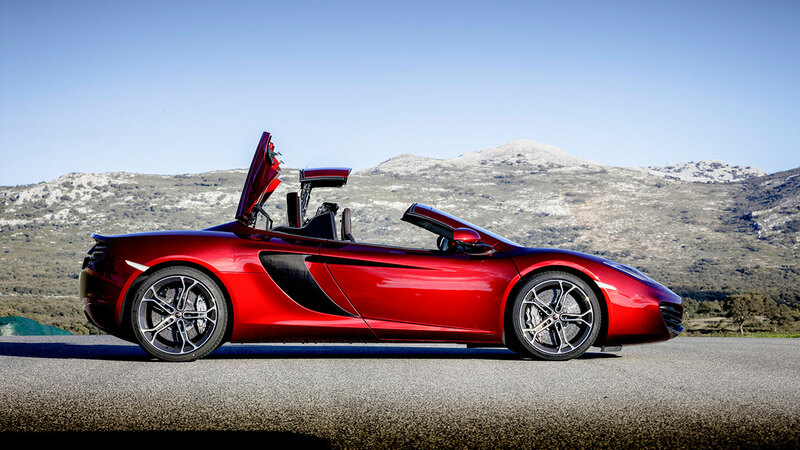 McLaren Automotive today announces the launch of its second model in the MP4-12C family: the stunning new 12C Spider. 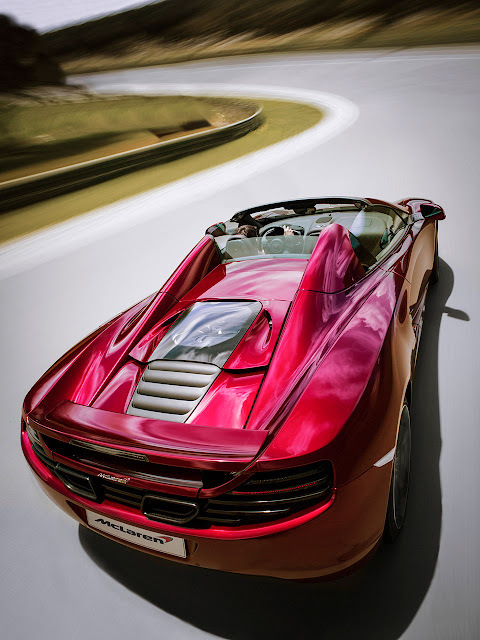 With a lightweight, high powered engine developing an incredible 625 PS (616 bhp), unique RHT folding roof system that may be operated while on the move, and carbon ‘MonoCell’ chassis identical to that of the groundbreaking 12C, the 12C Spider is a luxury convertible sports car that offers prospective owners a unique combination of spectacular performance with remarkable usability. 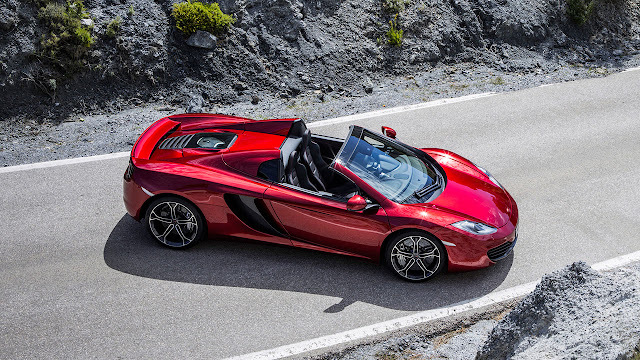 The new 12C Spider is now available to order from bespoke new McLaren retailers across the globe. First deliveries to customers are planned for November this year. Antony Sheriff, McLaren Automotive Managing Director said: “I am really excited to announce that the new 12C Spider is now available to order at new McLaren retailers worldwide. The launch of our second model is an exciting milestone in the growth of our company. 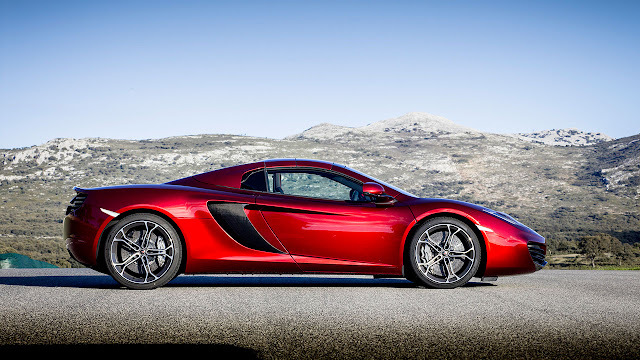 “While the 12C is the technological essence of a race car, the 12C Spider incorporates an additional dimension. 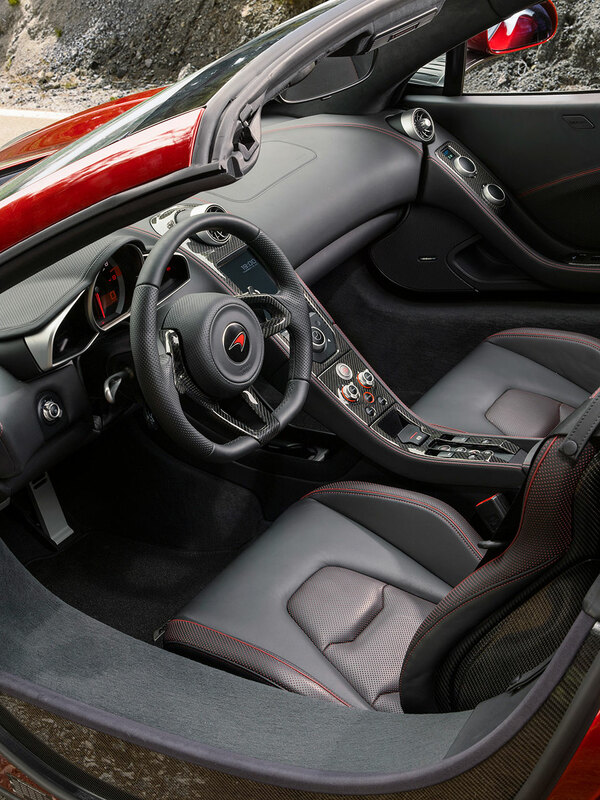 12C Spider owners will love the opportunity to lower the roof and hear the unhindered howl of a V8 twin turbo engine at full throttle. It undoubtedly enhances an already euphoric 12C driving experience. The 12C Spider’s impressive 625 PS output from its bespoke 3.8-litre V8 twin turbo engine is transmitted to the car’s rear driven wheels through a 7 Speed SSG dual-clutch transmission, which itself provides lightning-fast gear changes through rocker-mounted shift paddles affixed to the rear of the steering wheel. A clear view of the 12C Spider’s lightweight M838T power plant is available through a glass screen positioned behind the tonneau cover. Launched in Volcano Red - one of 17 exterior paint finishes currently available for the 12C and 12C Spider- both 12C derivatives will also be available in optional Volcano Yellow, a striking new high quality paint which features in the ‘Elite’ range of exterior finishes.